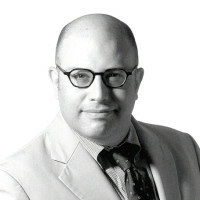 Eli Lake is a former senior national-security correspondent for The Daily Beast. He previously covered national security and intelligence for The Washington Times. Lake has also been a contributing editor at The New Republic and covered diplomacy, intelligence, and the military for the late New York Sun. He has lived in Cairo and traveled to war zones in Sudan, Iraq, and Gaza. He is one of the few journalists to report from all three members of President Bush’s axis of evil: Iraq, Iran, and North Korea.